Situated in the heart of Florence’s antiques district, Barn & Barrel provides a selection of rustic and farmhouse antiques and collectibles. 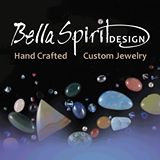 Featuring affordable, handcrafted jewelry. Custom design is our specialty. Stay tuned for information about our next party, we will be introducing new work, and some fantastic accessories! Breckenridge Grand Vacations (BGV) is the parent company of Gold Point Resort, Grand Timber Lodge, the Grand Lodge on Peak 7 and the Grand Colorado on Peak 8. BGV’s developers, Mike and Rob Millisor along with partner Mike Dudick, have been bringing families together and creating grand vacations since 1984. Breckenridge Grand Vacations was built upon the belief that the success of their company would be determined by the positive impact it had on their owners and guests, employees and the community. The developers of the company also embraced the concept that BGV would be the best in sales if they were first and foremost the best in customer service. The company has embraced the Net Promoter methodology company-wide and consistently beats industry averages with its high scores. BGV now creates Grand vacations for over 23,000 owners and employs over 500 staff members. We carry a broad range of styles and are creating new designs on a regular basis. Our blings come in sets of 6 so you can distinctively and uniquely mark 6 drinks. Our drink markers extend to many types of glass and plastic drinkware. We provide custom, Handcrafted wine barrel furniture and accessories to homes and businesses throughout the rocky mountain region. All of our furniture and accessories come from the finest handpicked white oak barrels. They have lived out their lifespan as vessels for aging the finest wines from around the world. We upcycle these barrels into some of the finest and most durable and artistic furnishings that you could ever own. If we don’t already have it, we will design it with you!!! Why Coro? Coro, spelled correctly “couro” is the word for “leather” in Portuguese and was suggested by a sweet friend of mine who grew up in Brazil. Leather is the main medium that I use in all of my jewelry because it’s lightweight, colorful and versatile which makes it both fun, classy and comfortable to wear! Nothing brings me more joy to than to see my clients exuding confidence and class while wearing my items and I take great pride in making those one-of-a-kind earrings, necklaces, and bracelets and I would love to make a piece just for you! Cutco, established in 1949, is the largest manufacturer of kitchen cutlery in the United States and Canada. 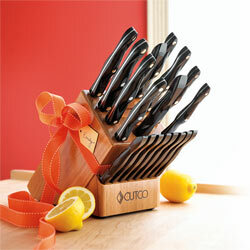 Cutco’s product line includes kitchen knives and utensils, shears, flatware, cookware and sporting knives. More than 700 employees work at Cutco’s factory and administrative headquarters in Olean, New York. Cutco products are sold through in-home sales demonstrations, at local events, Cutco retail locations and online. We never cut corners when it comes to baking, We use only quality ingredients, including Philadelphia Cream Cheese®, whole eggs, unsalted butter, pure cane sugar and real cream. And, our Home-Made Biscotti Crumb Crusts perfectly complement the Rich Cheesecake Fillings and Gourmet Toppings. Also producing ‘Savory Craft Spreads’ and our Award-Winning ‘Colorado-Style’ Southern Chow Chow. This wonderful tour of festively decorated holiday homes has served as a fundraiser for the Teller County community since 1999. Initially proceeds were dedicated to providing enhancements to the Dickson Auditorium. After completion of this project, the event was generously gifted to Pikes Peak Regional Medical Center Foundation to help fund hospital campus projects. In 2011 the Foundation reached out to partner with other local service organizations, with the intention of expanding this delightful event, while benefiting a much broader audience across this region. Since its inception, the Tour has raised $162,000.00 for Teller County non-profits! My Paintings are just at the intersection of landscape and abstraction. I am interested in creating space and distance that feels like the familiar world around us but is ambiguous, general and abstracted. Nikki Jo Jewelry is a locally owned and operated jewelry design store that makes jewelry and accessories out of recycled bullet casings. 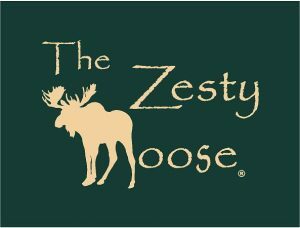 Most of the casing used are from law enforcement officers in Colorado or are purchased to help benefit a private wild life rescue. Nikki Jo prides herself on taking bulky, masculine, un-wanted materials that are generally not well liked and re-purposing and up-cycling them into beautiful, delicate items. She can also custom make designs out of 21 gun salutes, or your own casings as well. Trust Renewal by Andersen for replacement windows that saves on utility costs and protects what counts. Sogno Toscano is a family farm in Bolgheri, located in the heart of the Super Tuscan region of Tuscany. This is one of the most fertile lands of Italy and home of world-famous wines such as Sassicaia, Ornellaia, Guado al Tasso, and many others. We are glad to only carry high-quality Italian cooking products that represent the pride for our country. Being able to import and distribute them directly from Italy allows us to express excelling customer service each and every time. 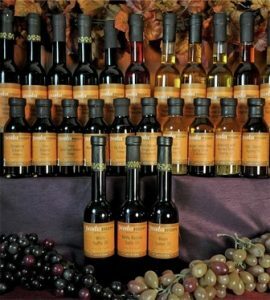 Browse through our products to find authentic Italian cooking products to be delivered right to your home or restaurant. I started this business in 2013 because I was tired of using products that were full of terrible chemicals. Most of the ingredients in products on the market you can’t even pronounce! They say “all natural”, but what does that really mean? Tahoe Kitchen Company’s main focus is to bring unique and exclusive items to it’s customers. We participate in Fairs, Festivals and Food & Wine Events in Nevada, California, Arizona, Utah, Colorado, Oregon, Idaho and Washington. We also offer Cooking Schools and Classes in the Colorado market. The two premier brands we currently carry are Hammer Stahl Cutlery and Sogno Toscano Olive Oils. Write4You! Hand-Engraving. Personalizing an object of your choice provides the chance to create a timeless keepsake for many long-lived memories! Great for individuals or company business gifts. Using a high speed drill, I etch into glassware, metal and wood, all free style. Names, dates or messages can be engraved onto bottles of wine, bourbon, perfumes, oils etc. Goblets, pocket knives flasks, drink glasses, growlers, swords, watches…. Your imagination is your only limitation! Great gift opportunities for birthdays, weddings, holidays, anniversaries, graduations housewarmings, or just because”. I can even travel to your special event for engraving. My free consultation for event ideas and promotional themes can create a uniqueness all your own. Contact me today, be recognized tomorrow! Grand Junction’s Original Hand Crafted Seasoning Blends and Spice Company Since 2007! It was nearly a decade ago when we noticed an increase in the consumer’s demand for Specialty Food Products that are FREE of Fillers, Preservatives, MSG and other Hidden Ingredients. Driven by our own passion; we created a Brand of Seasoning & Spice Blends, that provide the consumer with a healthy product without sacrificing flavor. From the beginning we’ve been committed to exceeding our guests’ expectations in product quality, customer service and providing an ongoing educational & culinary experience. Our product line has expanded considerably and now offers over 65 different Seasoning Blends, BBQ Rubs, Finishing Salts, Hot Sauces, Handmade Pasta and Estate Olive Oils proudly grown and milled in the USA. Only hand picked fruits, herbs and vegetables grown on a small farm go into our Vinegars! From The Orchards To Your Table!